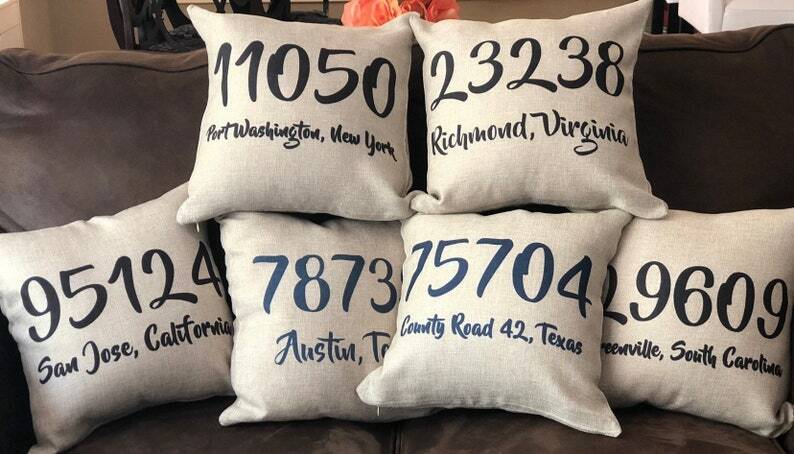 Personalize this pillow cover with your city, state and zip code. Please include the city, state and zip code you want on your pillow cover. Choice of black or blue print. Pillow cover measures approximately 16 x 16 inches. Can vary +/- half and inch. A natural colored polyester burlap. Soft to touch.